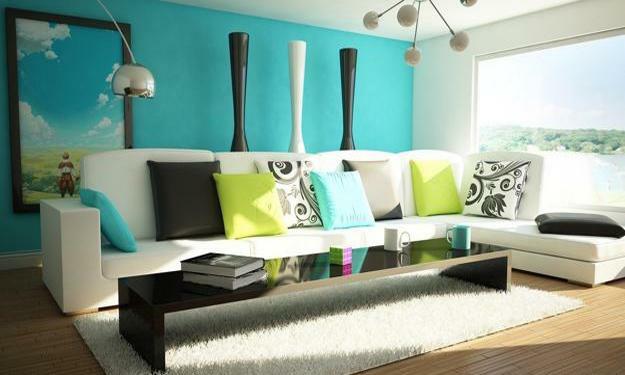 Turquoise blue interior colors are wonderful for modern room decorating. Versatile, suitable for any interior design, turquoise blue color hues are stylish and very attractive. 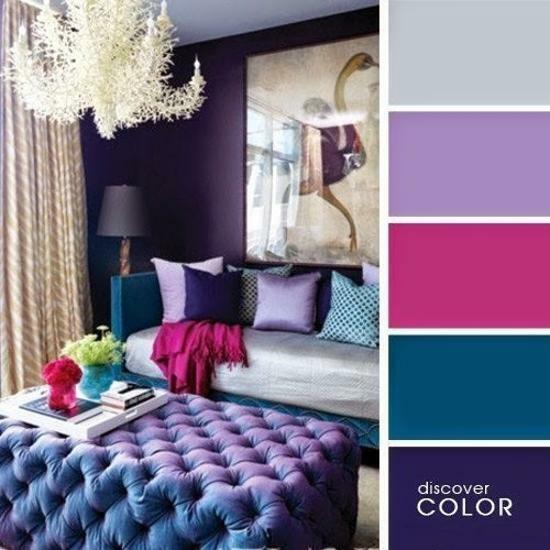 Decor4all shares collection of blue room decorating ideas and color schemes that include various blue colors. 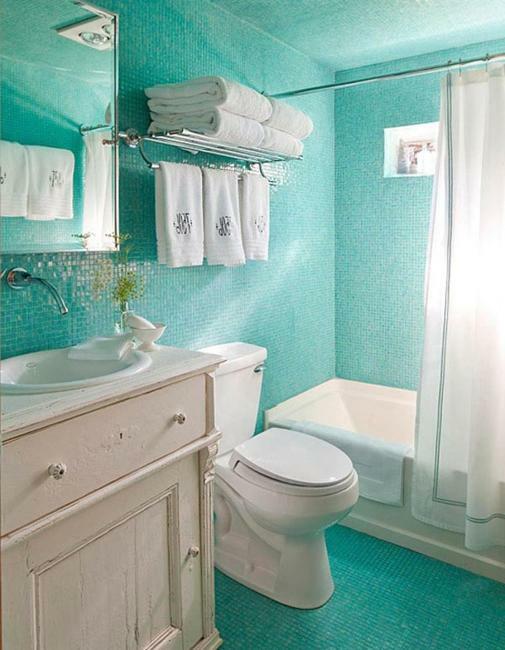 Turquoise blue color is comfortable to both genders and people of all ages. 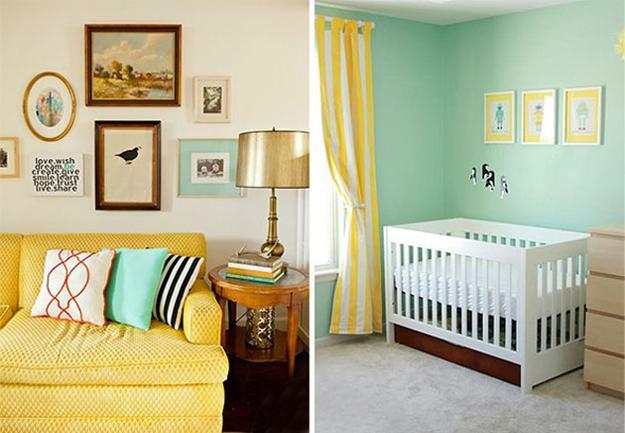 Stylish turquoise blue room decorating can feel warm and cool in combinations with warm and cool room colors. 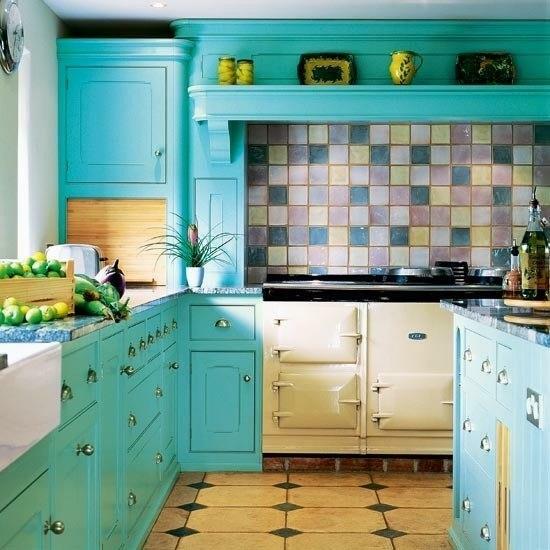 Light turquoise blue color feels natural and soothing, Rich turquoise blue colors are cooking and peaceful. 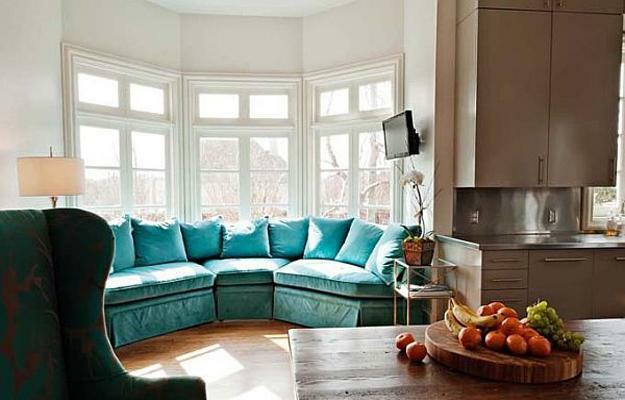 Turquoise blue color combinations can be cozy and relaxing if include warm rich interior colors. 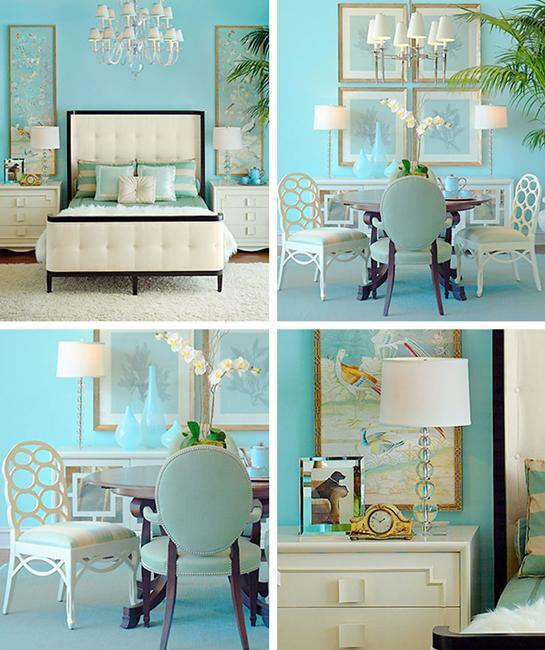 Turquoise blue color schemes look interesting with blue accents and other room colors used as main. Cushions, upholstery fabrics, vases and wall art in blue colors add fabulous accents to other interior colors in room decorating. 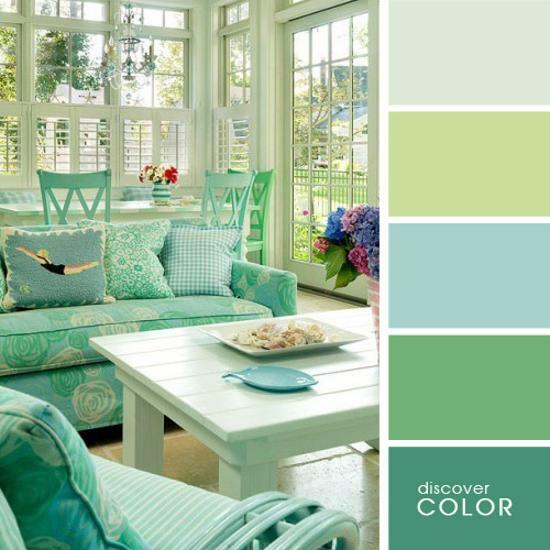 Calmer hues of turquoise blue color is versatile, suitable for any room decorating. Light turquoise and blue color combinations are suitable for living rooms and kitchens, kids room decorating and bathroom designs. Light turquoise and blue color combinations look harmonious and very attractive with natural wood and soft white decorating ideas. 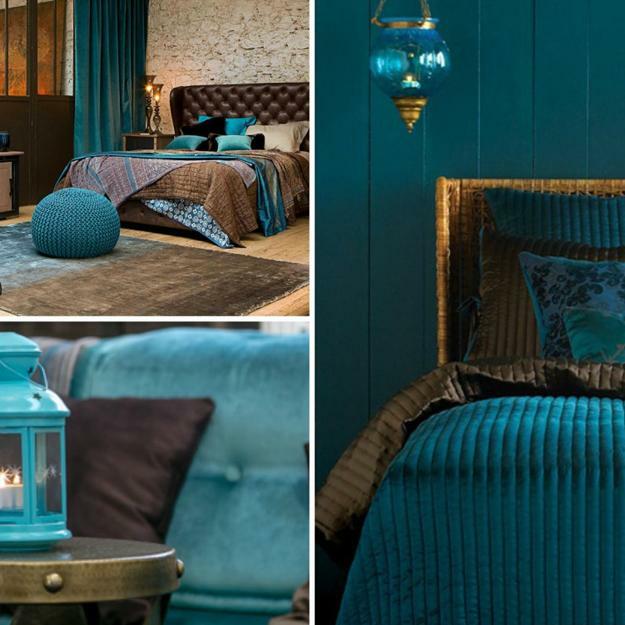 Bedroom decorating with turquoise blue color is peaceful and beautiful. 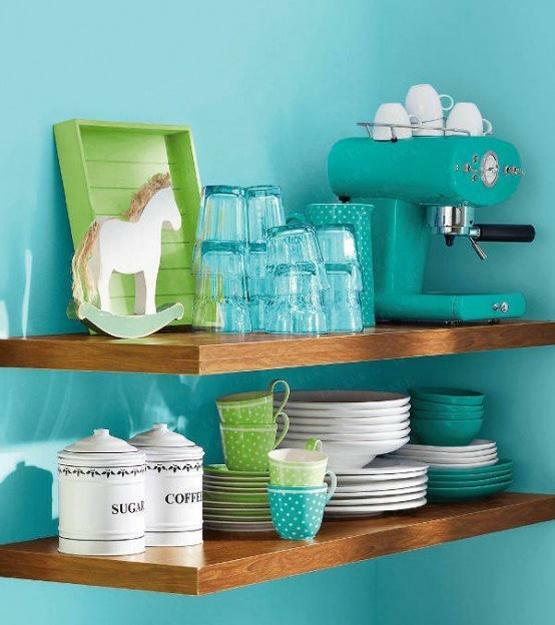 Turquoise colors are ideal for creating calm, pleasant and modern room decorating. 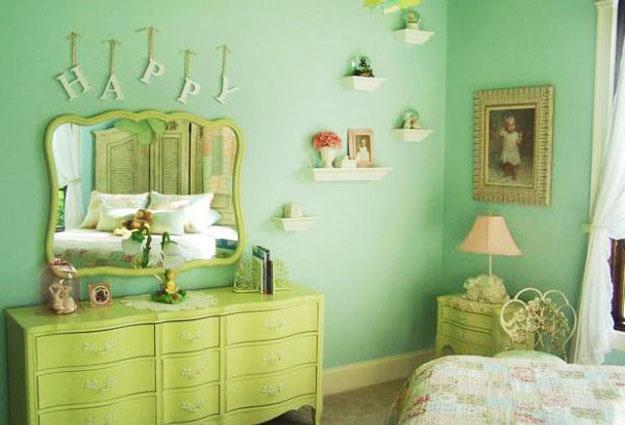 Turquoise blue wall paint helps people to relax and fall asleep quickly. 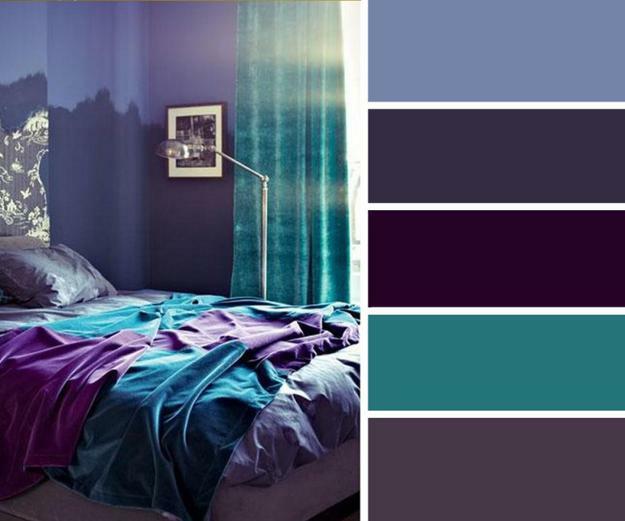 Turquoise colors create fabulous color combinations with all blue and green colors, light and dark brown colors, pink and purple colors, light gray color tones and soft white decorating colors. 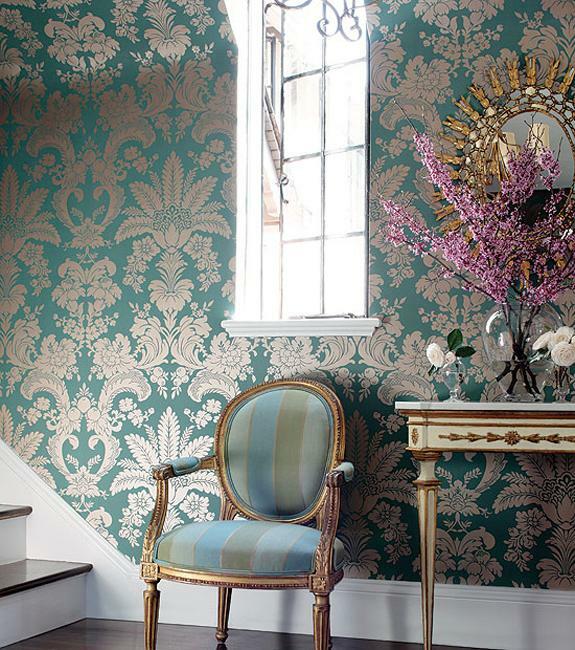 Wall paint in turquoise colors are stylish choices for interior decorating. 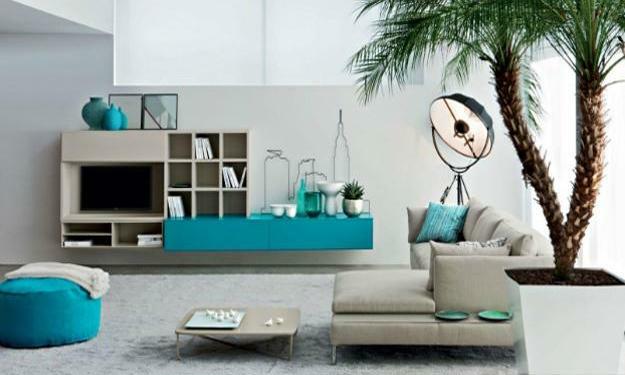 Room furniture and decor accessories in turquoise colors, combined with matching color combinations, bring freshness, brightness and cool feel into modern interiors. Turquoise blue color combinations are especially great for decorating sunny rooms with large windows and good lighting design. You can use bright turquoise accents in different tones and blend them with other matching colors to create fresh and modern room decorating. Rich turquoise colors fit perfectly with bright blue color combinations and energetic interior decorating with warm accents. Small decor accessories in turquoise colors can be combined with indoor plants, decorative cushions and vases in white or soft warm colors. 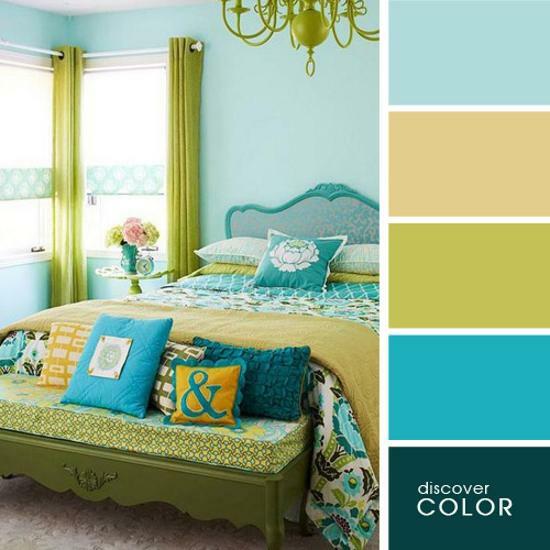 You can use turquoise colors in blue color combinations to increase the calming effect in room decorating. You can mix turquoise colors with warm color shades and white decorating, adding cozy and bright feel to modern interiors. 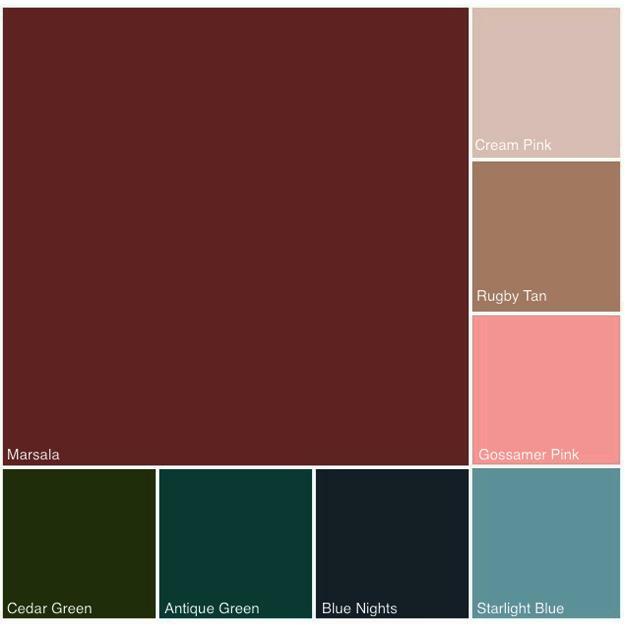 Turquoise colors look beautiful and luxurious with golden colors, copper shades and silver gray color tones. 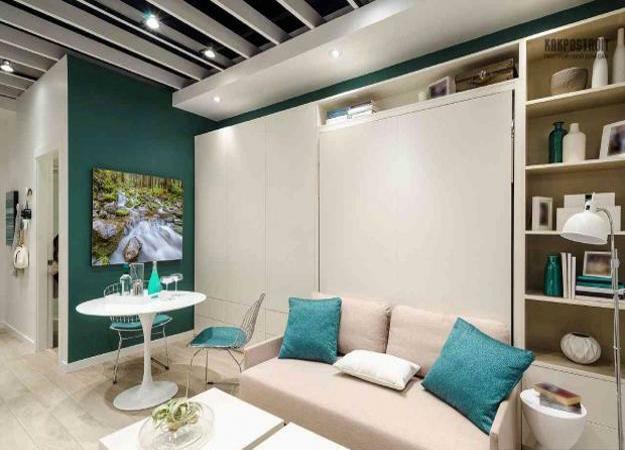 Turquoise blue color combinations offer numerous ways to beautify interior decorating and create elegant, spectacular and peaceful room decorating.